On the third day of the 888poker XL Blizzard Series, three new tournaments were scheduled. Most of the attention went out to the $30,000 Crazy 8, where there was a pretty big overlay with 269 entries. Let's take a look at this tournament and the results of the other events that played out on Saturday. 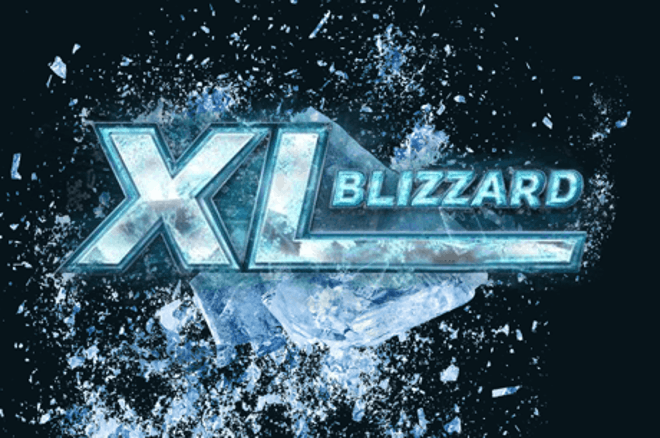 The XL Blizzard #6 - $30,000 Crazy 8 kicked off at 20:00 GMT. After late registration closed, there were 269 registered players. That resulted in a pretty big overlay with a prize pool of $30,000 with $5,850 reserved for the winner. More than seven hours were played before a champion was crowned. Eight players made the final table, securing themselves of $750. "Blizzard5150" (eighth, $750), "okokok1983" (seventh, $900), "modmod87" (sixth, $1,200), "Underlay1" (fifth, $1,650) were eliminated in quick succession. After that, "vadovauju" (fourth, $2,400) and "sherblemon" (third, $3,300) missed out on the final heads-up. Canada's "dujoe123" battled against "Lunatikas7" and in the end, the aforementioned won against his or her opponent to be crowned the winner. The winner received the first prize of $5,850, while the runner-up had to settle for $4,350. There was also a Mini Edition of the Crazy 8 on the schedule for the players who couldn't afford the biggest buy-in ($88) of the day. To compete in this tournament, players had to pay the buy-in of $8.80 and there were 1,105 players competing for a prize pool of $12,504. Every finalist in this tournament would secure him- or herself of $165 but all eyes were on the top prize of $2,317. That top prize went to United Kingdom' "flipsticks" after beating "LHadar" from Romania heads-up. The Romanian runner-up received $1,585. The last winner of the day was crowned in the XL Blizzard #8 - $10,000 Late Crazy 8. This event was played by 253 players to create a prize pool of $13,400, easily reaching the guaranteed prize pool. Regular "Kaktus26rus" made another final table appearance but the journey ended in fourth place for $937. "DiCarpi0" from Romania won the event for $2,317 after defeating the Brazilian player "tassio-ita" in the final heads-up.